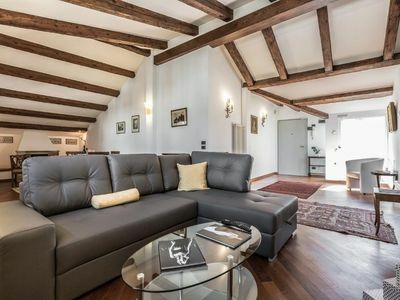 A wonderful and bright attic flat in San Marco District with a lovely view to the Venetian roofs. 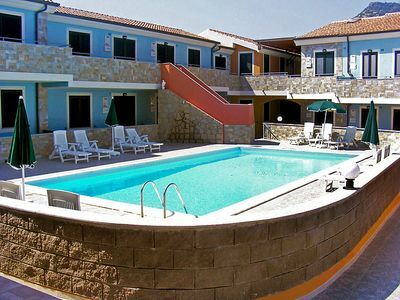 The apartment has a double bedroom, a twin bedroom, two bathrooms with one of them with a large triangle whirlpool. The living area has fireplace and the kitchenette is fully equipped. The apartment is on the 3rd floor with no lift but the effort is largely rewarded by the brightness of every room and the view. Ideal for both families and a romantic escape, it combines comfort and style with a mix of modern and antique style of the furnitures. 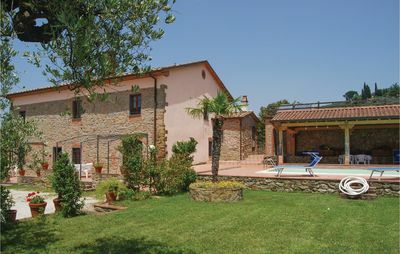 Off Palazzo Fortuny, it is 100 meters from a large supermarket and very close to many good restaurants. Rialto Bridge, the Fenice Lyric Theatre and San Mark Square are 5 minutes away.